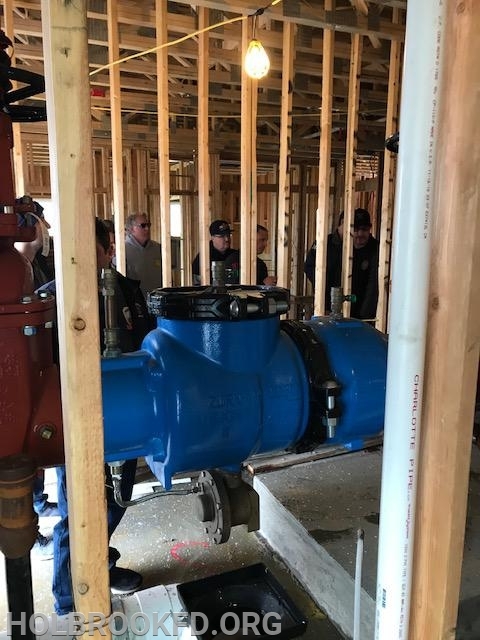 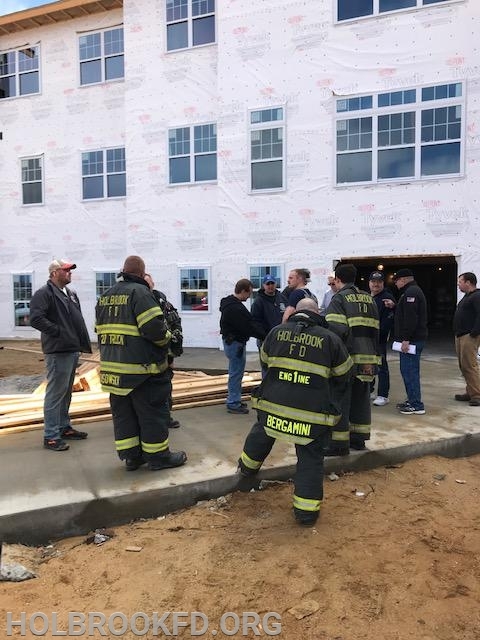 On Sunday, April 7 2019, members of the Holbrook Fire Department along with members of Sayville FD, Bayport FD, Blue Point FD, and Bohemia FD conducted a walk through of Bright View Assisted Living. 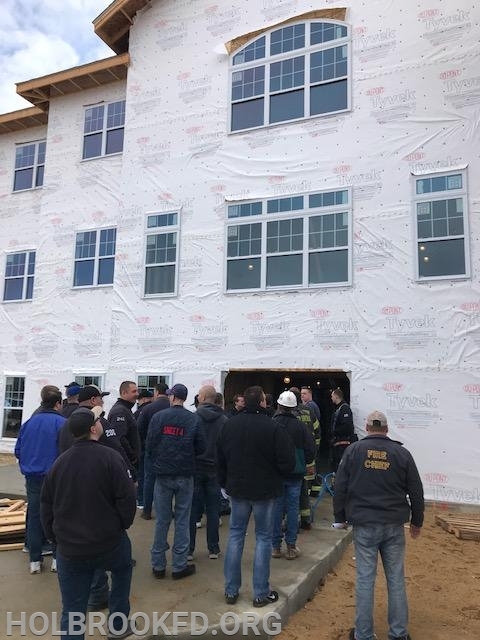 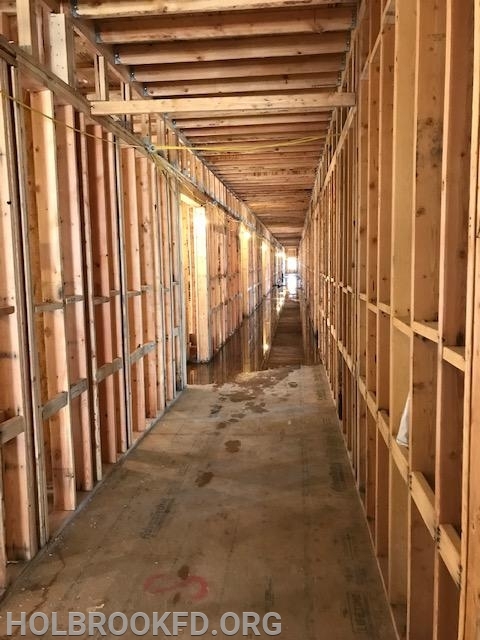 Bright View Senior Living and Tritec Building Company allowed the fire departments to take a look at their building during construction in order to start pre-planning their response. 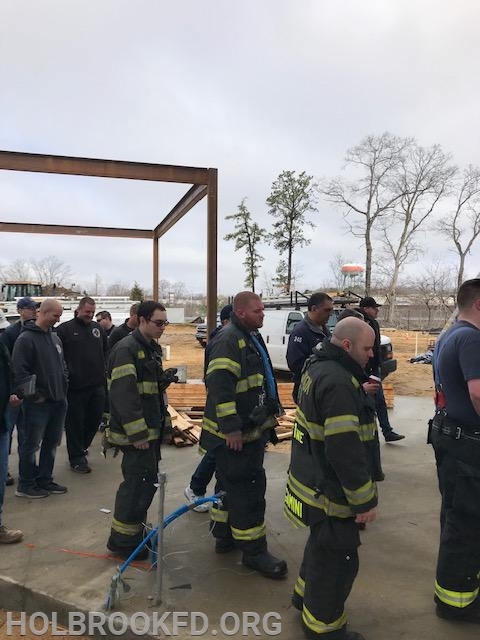 This important part of firefighting is known as a "size-up" and is crucial to successfully coordinating resources needed for emergency response. 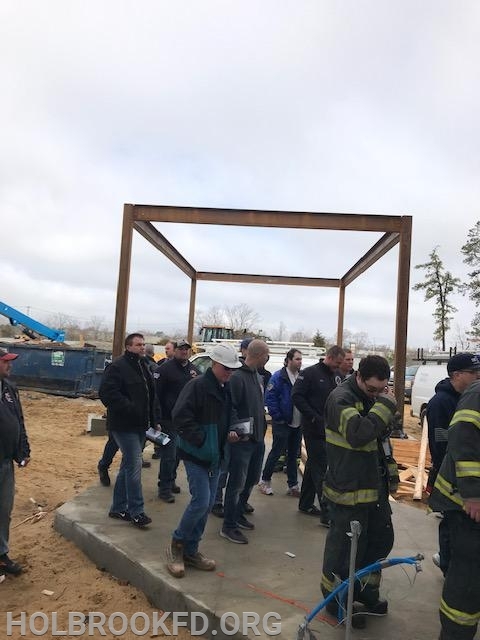 Bright View is located at the southeast corner of E/B Sunrise and Broadway Ave. which is at the southern part of the Holbrook Fire District. 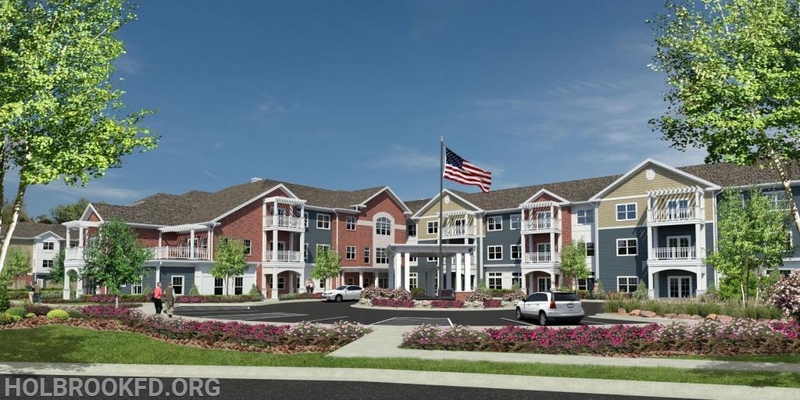 When completed it will be a 3 story assisted living facility with over 150 units. 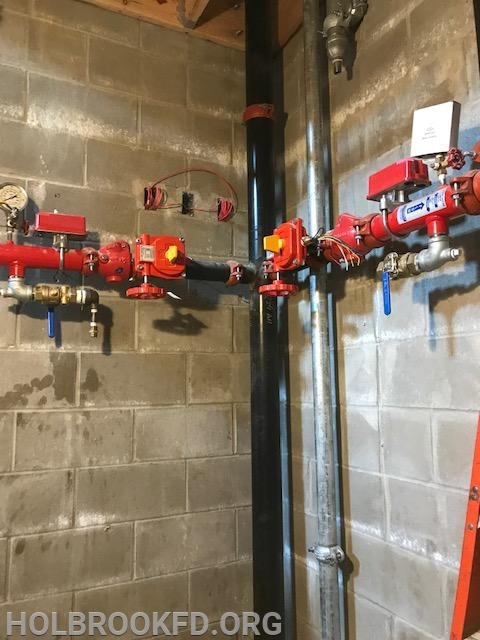 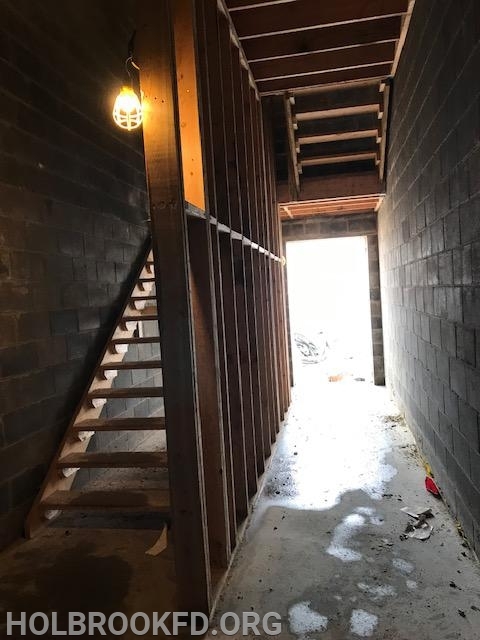 Bright View will have fire sprinklers throughout the building along with many other fire safety features. 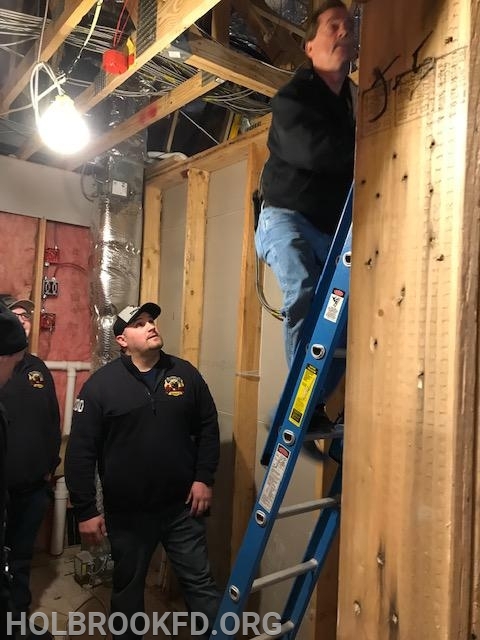 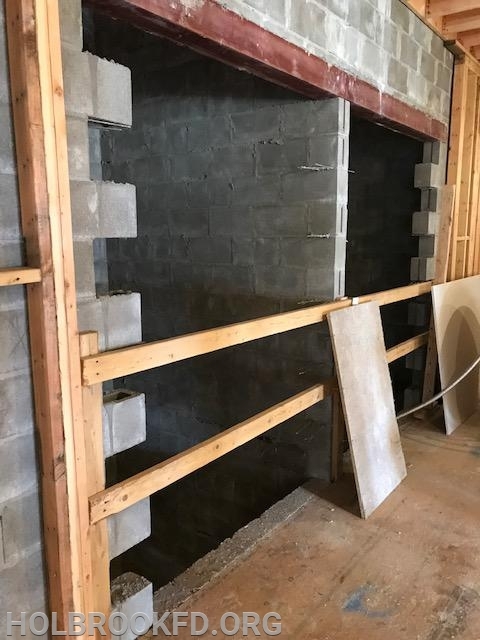 Due to the size of the building, firefighters will face many challenges, but with planning, training and continued cooperation from all involved those challenges will be anticipated and minimized.